The phones in our pockets have become supercomputers that are changing the way we live. It’s now possible to do things we used to think were magic, or only possible on Star Trek - like get directions right from where we are standing; watch a video on YouTube; or take a picture and share the moment instantly with friends. 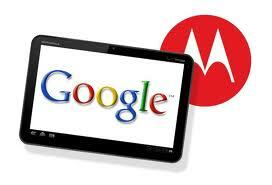 That's why Google is excited to announce that their Motorola Mobility deal has closed. Motorola is a great American tech company that has driven the mobile revolution, with a track record of over 80 years of innovation, including the creation of the first cell phone. It’s a well known fact that people tend to overestimate the impact technology will have in the short term, but underestimate its significance in the longer term. Many users coming online today may never use a desktop machine, and the impact of that transition will be profound - as will the ability to just tap and pay with your phone. That’s why it’s a great time to be in the mobile business, and why Google is confident that the new team at Motorola will be creating the next generation of mobile devices that will improve lives for years to come. QUICK QUESTION: Is your website mobile friendly yet?